Bob Feldman began with Basser Kaufman in 2010 and is responsible for new property acquisitions and development. Mr. Feldman’s career began in commercial real estate in 1986, and he has been developing real estate since 2002. He has developed multiple Walgreen’s stores, been involved with a variety of other acquisitions and developments, and continues to work with the community of retailers in order to help facilitate their expansion plans and expand the Basser Kaufman portfolio of first class retail properties. Additionally, as we pursue other asset classes, he continues to play an important role in the company’s expansion. 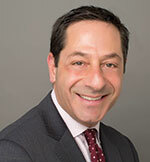 Mr. Feldman is a graduate of the Stern School of Business at New York University, and is a member of ICSC, the Long Island Real Estate Group, The Retail Network, as well as the Gotham Real Estate Network. He is an advisory board member for Rock and Wrap It Up, a charity that helps the less fortunate throughout the country, and is an active tennis player and fitness enthusiast. He is married for 25 years and has two daughters.